Who could be the new Russian envoy to UN? Russia's Deputy Foreign Minister Vasily Nebenzya. The State Duma Committee for Foreign Affairs has upheld Deputy Foreign Minister Vasily Nebenzya’s appointment as Russia’s Permanent Representative to the UN, a source familiar with the committee’s closed-door meeting, TASS reports. 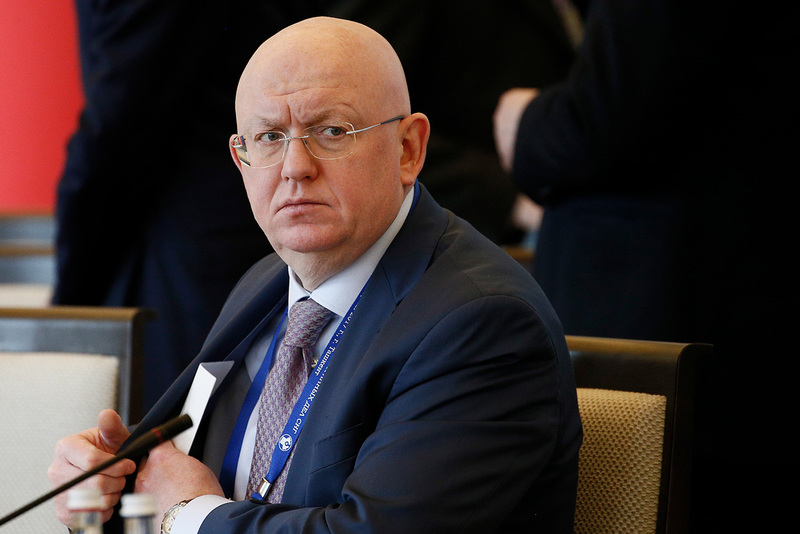 "The committee has upheld the Foreign Ministry’s proposal to appoint Nebenzya as Russia’s Permanent Representative to the United Nations," the source said. Deputy Foreign Minister Gennady Gatilov attended the committee’s meeting. The position has remained vacant since February, when Russia’s Permanent Representative to the UN Vitaly Churkin died while performing his duties. Vasily Nebenzya, 55, has occupied various positions in the Foreign Ministry in Russia and abroad, he speaks English and Spanish. Nebenzya used to head the ministry’s Department for Humanitarian Cooperation and Human Rights, while in 1996-2000 he served as senior adviser at the Russian Permanent Mission to the United Nations. In 20016-2012, he was Russia’s Deputy Permanent Representative to the United Nations Office and other International Organizations in Geneva.